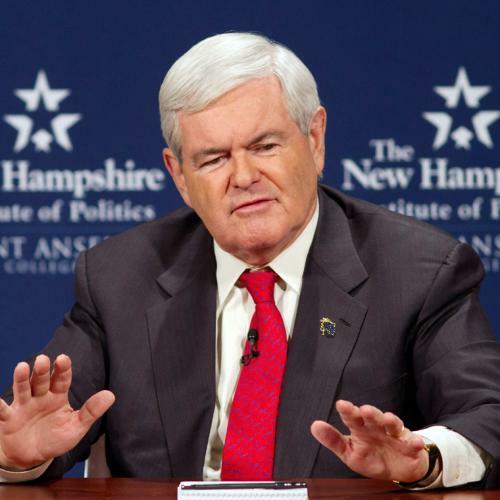 Lessons from the man who nearly stopped Newt. It was 1990. Two years earlier, Worley, a Harvard-educated lawyer, had challenged Gingrich and lost to him by 18 points. But Southern Republicans had been boosted by the anti-Dukakis wave, and Gingrich had run considerably behind George H.W. Bush in his Georgia district. Worley figured the climate would be better in a midterm election. Little did he know how much his prospects would be boosted by Gingrich himself. First came Gingrich’s snub of the several thousand Eastern Airlines workers in his district, which spread from the Atlanta airport to the Alabama line. When Frank Lorenzo, the airline’s new owner, set about squeezing the unions, workers appealed in vain to their congressman. Among those urging Gingrich to act was a staunch Republican friend of his, a pilot in a rival airline. “He was worried about national issues, and I was telling him he should worry about his district,” says the Republican. “I kept saying, ‘You have to do something for these people,’ and he said, ‘I can’t do anything for them—it’s a private company.’” The airline machinists’ union was politically diverse, with plenty of conservative members, but Gingrich’s ambivalence caused it to rally behind Worley. Gingrich banked on the same strength that his boosters point to today: He challenged Worley to ten debates around the district, in which he wielded just the sort of over-the-top, hot-button rhetoric that his political action committee was urging on Republican candidates in a notorious linguistic-strategy memo sent out that fall. But his indignation backfired: By decrying Worley’s “shameless distortion” on the pay raise and limo, he gave the criticism more airtime. “He thinks of himself as this wonderful debater, and he’s great when he’s a professor in a classroom … or speaking in front of an empty House chamber, but he’s not nearly as good at taking what he dishes out to others,” Worley told me. Gingrich sought to curry favor with voters by coming out against President Bush’s deal to raise taxes and trim Medicare benefits to close the deficit. Yet there were signs that his campaign was in trouble: In September, Worley and his pollster went to Washington to show the Democratic Congressional Campaign Committee (DCCC) polling suggesting that Gingrich was vulnerable. Two years earlier, the committee had given Worley $50,000. But, this time, it turned him down. The understood reason was that he was criticizing the pay raise, in violation of a deal between the parties not to use that issue. But one former DCCC official told me that the committee just didn’t believe Worley could pull it off. “We had limited resources, and you had to make decisions about which you can win,” says the official. By Election Day, Worley had been outspent four to one and had run only one radio spot and no TV ads. Head used her final paycheck to rent a limo, stuck Gingrich posters on it, and drove it to polling stations. The initial results showed Worley on top, but, by the next morning, Gingrich was up. The DCCC rushed in with help for a recount, to no avail. Gingrich brushed off the scare as a sign that he needed to “come home and pay attention.” But, his first day back in Washington, he took the chauffeured car to a speech at the Heritage Foundation, and, in the next session, he was back in the headlines—for bouncing 22 checks from the House bank. This became an issue in the 1992 race—but Worley wasn’t around for that one. Redistricting had shifted Gingrich’s district to a wealthier, more Republican area north of Atlanta. His primary opponent there, Herman Clark, made hay out of the bounced checks and lost by only 980 votes. Alec MacGillis is a senior editor at The New Republic. This article appeared in the December 29, 2011 issue of the magazine.